It’s a catchy ditty that the blooming artist can add to her repertoire of track credits. "Rush" might be Starrah's debut track but she's already begun leaving pen marks all over some music's most recent hits. The singer/songwriter who's responsible for Rihanna's "Needed Me" also has credits on Jeremih's "Pass Dat" and has collaborated with artists like Young Thug and Kevin Gates. Starrah's premiere song, offers a light-hearted melody as she uses her voice as an instrument to flirt with the grooves of the beat. 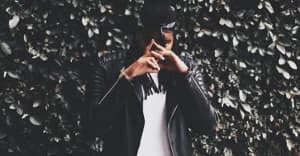 Starrah explained the song to The FADER over an email, "'Rush' is me taking Mother Goose to the trap. It’s a fun song that I made while working with my producer Retro Future. My music is an ode to youth, and I wanted to make a song that captured that." Listen to the track below for some floaty vibes.